….so says one of the most renowned & influential makeup artists in the fashion industry…François Nars… a man who has worked with the likes of Linda Evangelista & Naomi Campbell. It’s so true that a makeup brush is just like an extension of your hand…your fingers…the very fundamental tool for application…be that for a true makeup artist or an amateur. To be honest, I’m somewhat of a makeup brush hoarder…or collector…I own over a 100 brushes & still when I see a beautiful brush, my heart melts & I give in! There was a time when I didn’t know any other way to apply my makeup, but to use my fingers, and ever so often would not be happy with how it all turned out in the end…until I saved enough to buy my first set of makeup brushes & my Life Changed as I know it! I am in no way saying that you must have dozens of makeup brushes & tools, nor I am saying there’s anything wrong with applying makeup with your fingers, but if you’re anyone who’s used a good quality makeup brush/tool, then you’ll know exactly where I’m coming from. Today I thought I’d share with you my most Favourite Makeup Brushes of all time from my collection…so here they are…my Tarte Brushes! Like I said before, I love to collect makeup brushes & as of now my collection includes Sigma makeup brushes (click here & here to read my reviews), Real Techniques makeup brushes, Nars makeup brushes, Ecotools makeup brushes, Everyday Minerals makeup brushes & then my favourite Tarte makeup brushes. Of all that I have in my collection, I love my Tarte brushes the most & reach for them most often. 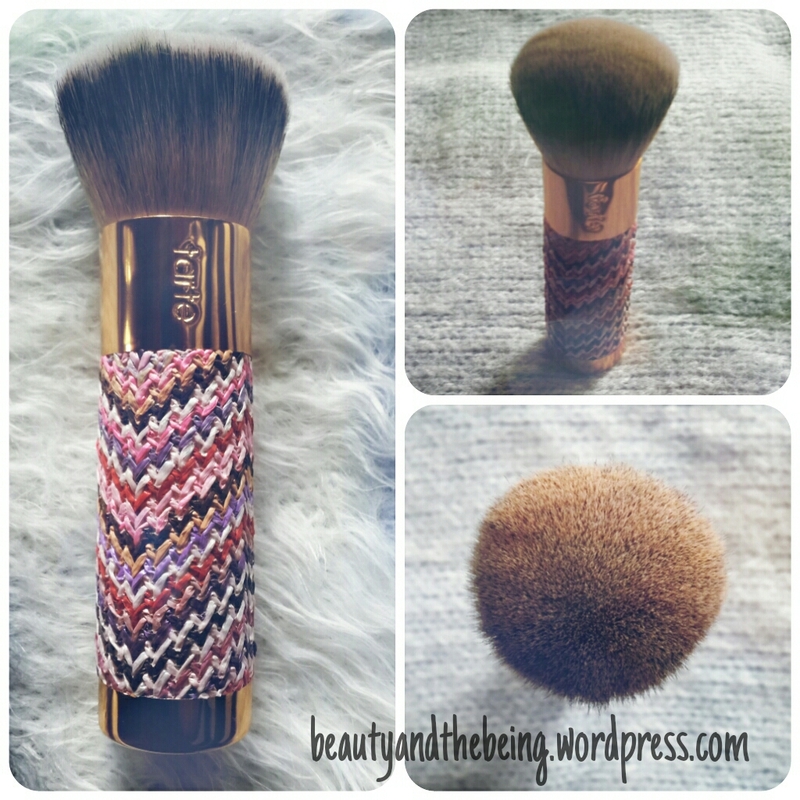 I have here 4 of my absolute must-haves…for they are the softest makeup brushes I have ever used. 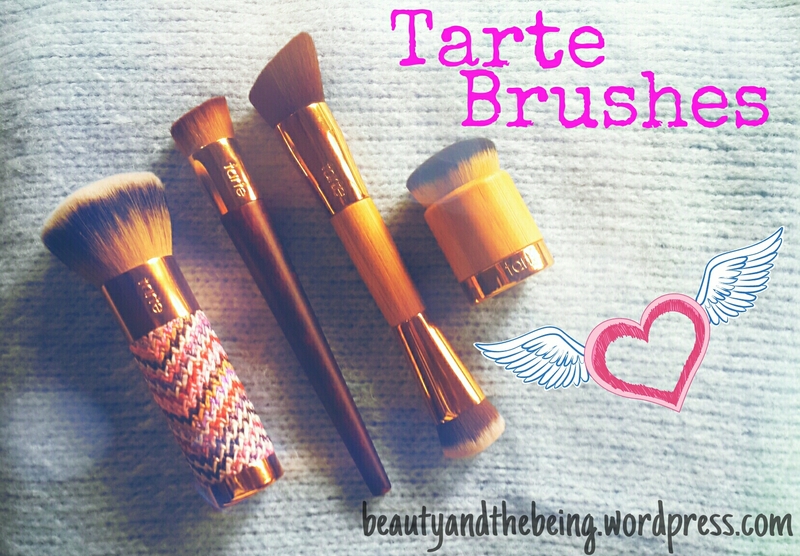 All of these Tarte brushes have a beautiful design & sturdy structure, with Bamboo handles. These makeup brushes are not only easy to use, but have also been tailored to give you the most precise application. Another reason I love them so much is that these are 100% cruelty free makeup brushes, all of which have synthetic hair and natural bamboo handles. They have the brand name engraved on each brush & the gold ferrules just take my breath away for they look so luxurious & classy. This brush is one that I’ve used more than any other because it is so versatile & multi-functional. As you can see, it’s a double-ended brush which works great for contouring & gives you that seamless sculpted cheekbones in just a matter of seconds. I use this mostly with a cream contour product, but it works equally well with a powder formula to give you a slimmer face shape. The brush has a ‘slanted’ side that is much fuller & is packed with synthetic bristles, while on the other side it has a smaller ‘dome’ shaped set of bristles which help you to blend & buff-in the contour. The handle on this makeup brush is made from harvested bamboo, which makes it very light and easy to hold. I also use this brush for applying my foundation and use the denser, slanted side to buff in my liquid/cream foundation & then use the dome shaped side of the brush to buff in my concealer under the eyes. It works great with liquid & cream products & I swear it is the SOFTEST brush that I have ever come across till date. 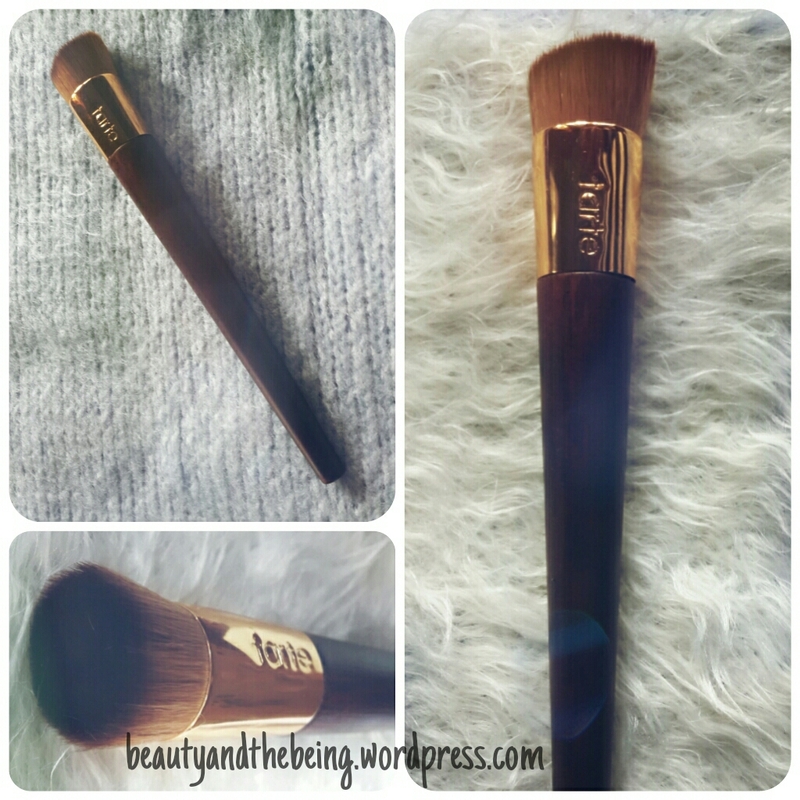 This tiny little kabuki brush from Tarte is one that sits in my makeup bag & is ideal for touch-ups. Once again, an insanely soft brush, the airbuki is versatile & can be used to apply foundation, powder as well as bronzer. I tend to use this the most to set my makeup with powder, all over the face or to apply my mineral/powder foundation. This too is a cruelty-free makeup brush & is extremely densely packed with short, synthetic bristles that pick up just the right amount of product & buff it into the skin to give you that airbrushed effect. 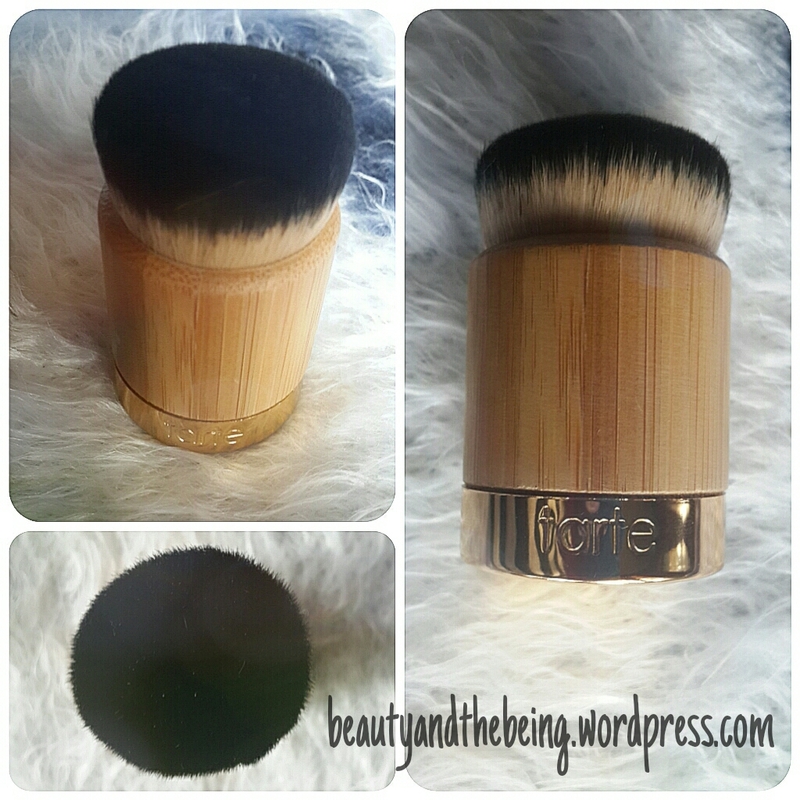 This brush was included in the Tarte Shades of Clay Amazonian Colored Clay 7-Piece set. I couldn’t find a link to this anywhere, so I believe that it isn’t available anymore. I think it would be fair to say that this is the most uniquely shaped brush I own. As you can see the handle on this one is very long & tapers to a point almost at the end. The head is comparatively smaller than all the other brushes, but the bristles are very densely packed and short, so it gives you a beautiful application. Because it is tapered, you can easily reach the hard-to-get places on your face like under the eyes & around the nose. This is my favourite brush for liquid foundations as it blends in the product beautifully. Thanks to the smallish size, I always end up using lesser product than I usually would if I were using anything else. Also, if you’re someone who has a small face and/or likes to work in sections on your face when applying makeup, making sure everything is seamlessly blended, then this brush is going to be your new best friend! Can we take a moment & talk about what a beauty this is!? Seriously guys, this brush is like a piece of art! It was a part of the Tarte Journey to Natural Beauty Collection set & once again I’m sorry but I cannot find a link for it. The handle on this one is just gorgeous…it is a bamboo handle once again that has been covered in a woven fabric that is somewhat of a zigzag pattern. This brush is perfect for applying all kinds of foundations- be that liquid, cream or powder; great for applying bronzer- all over the face as well as for a light dusting on the body. It makes makeup application so easy, thanks to the millions of densely packed, super soft synthetic bristles. What gorgeous beauties these are!!!! 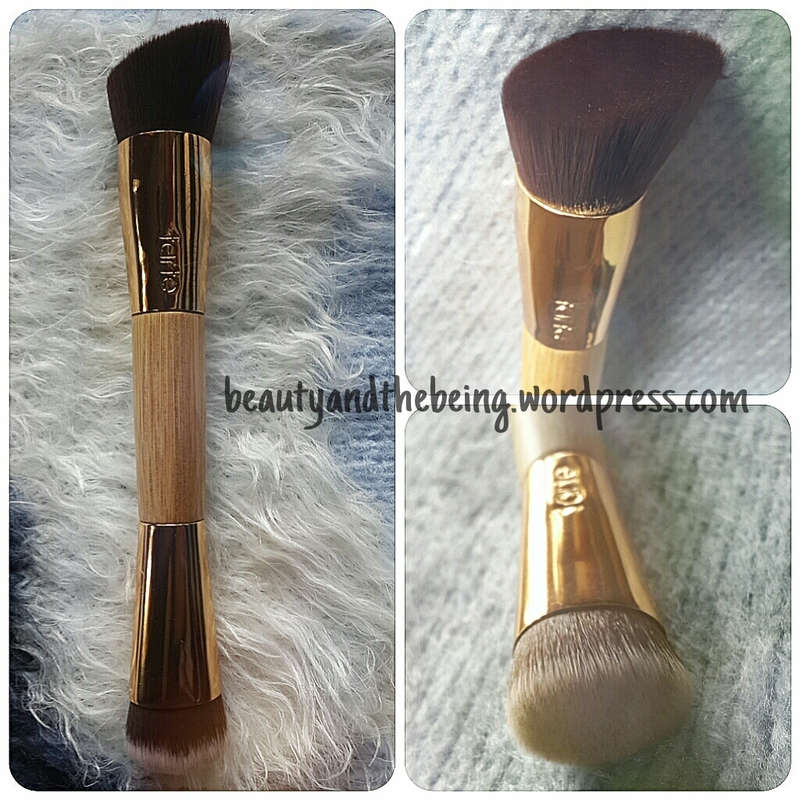 Thank you for your very informative review on the Tarte brushes asI was so confused with the number of brushes online before I read it. I decided to buy the foundation brush on ebay for $10, I thought it was a great bargain. I hope I’m as happy with mine as you are.